Nabq is an outstanding natural area, 50 km south of Dahab. In addition to wonderful diving in Nabq itself and along the entire coastline south from Dahab, the area contains unique Arak Dunes and a large mangrove stand. You won’t find buildings in Nabq. You will find a fresh breeze, sandy beaches covered with palm and mangrove trees, a traditional fishing community, pristine coral reefs and some of the Sinai’s most unique land habit. Jammed in the reef, the famous ship 'Maria Schloder' can be seen with most of its body exposed above the surface of the water. Overnight trips can include a 3rd dive, or a bit more exploration of the land habitat. We sleep on the beach, in the bamboo huts built by the fisherman to house them during their stays. 40 km north of Dahab, between Ras Abu Galoum and Nuweiba, you will find Ras Mammlah. Many years ago, an earthquake opened up cracks in the land that continue as underwater canyons. The diving here is for experienced divers, used to overhead environments and challenging conditions. The desert mountains meet the sea in the most dramatic way at Ras Mammlah. For experienced divers, the area is famous for its cave system and for its canyons that start on land and continue into the sea. 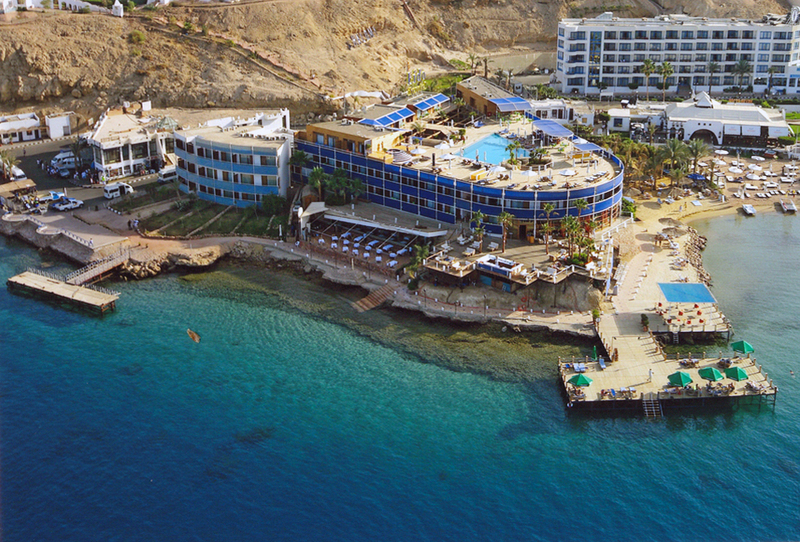 Most divers want to spend the entire time in the water at Ras Mammlah – up to 3 dives a day. Once the dive equipment is load on our camels and breakfast is finished, we start the 1 1/2 hour camel ride to the first dive site. After the dive, there’s time to chill out with your book, snorkel or just walk along the beach. Then we move onto the second location and lunch is served. When the afternoon dive is over, the rest of the day is yours to relax and take in the tranquility of the surroundings. Gabr El Bint – It's about 25km south of Dahab. We're never sure if we should mention this to people, but Gabr El Bint means 'grave of girl'. You'll be glad to hear the name has been around for a very long time, and that the grave is deep in the wadi above our site. We have a number of dive sites around Gabr El Bint. They include three canyons, a lagoon and impressive reef walls alive with gorgonian fan corals. All have characteristics that attract varieties of rare and large marine life including snapper, grouper and many species of rays. We take the jeep until the route is impenetrable by vehicle. Here we meet local Bedouin guides and their camels who will take us to our destination. For 1/2 an hour we stop for breakfast around a campfire whilst equipment is loaded onto the camels ready for the big adventure. This is the point where we ride the camels for approximately 1 hour to Gabr El Bint. We arrive, have some tea, and make our first dive for the day. Following the dive we have a traditional Bedouin lunch and a 3 hour break before moving onto the next site.